Morten Meldgaard flew from Denmark today to visit the Trust. Morten who is a Trust member, together with his father in law Joergen Riber are currently restoring a Type 30 that was purchased in 1958. Morten said ” the time has now come for us to work on the engine and I was thrilled when I found out that the Bugatti Trust has a cut-open Type 30 on display. So i went to the Trust and had a close look at it. A great help to my resoration work……and i even had tea served, thank you”. 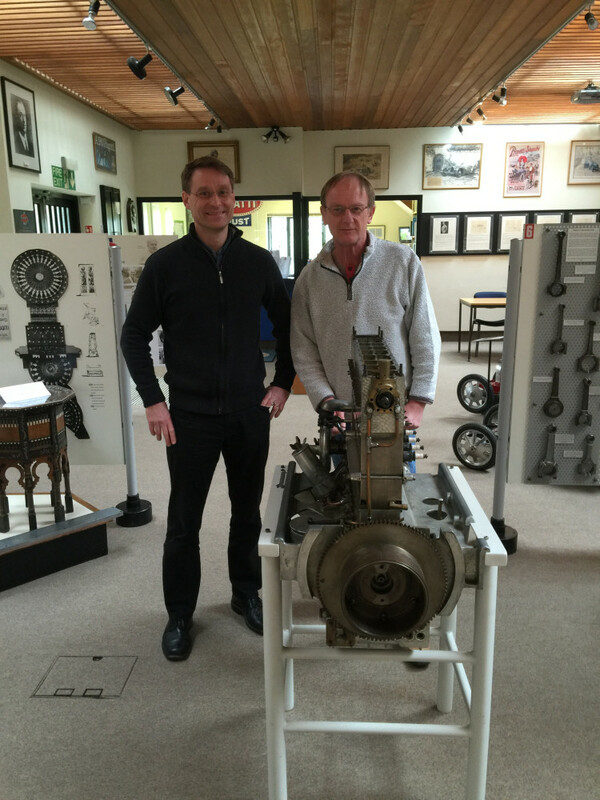 Morten is pictured below with our Archivist David Morys who was pleased to be of assistance to Morten.